I am particularly astonished by my fellow countrymen who are agitating for an independent Biafran Republic. In my own opinion, I believe they already have it. There are no less than 5 autonomous states that are being ruled and governed by Igbo people. If you want to count just the Igbo nation, I don’t remember any time since the 1999 democracy, that a Hausa person or a representative of any other tribe has become the leader, governor or mayor of an Igbo state or city. The Igbo people have their land to themselves. These lands have not been taken over by Yoruba, Hausa or any other nationality in Nigeria. Igbo still have their territory where they are predominantly populated. They have the right, freedom and the opportunity to build heaven on earth in their area, anytime if they so wish. If the Igbo man wants to make his own state or region better than any other state there is nothing stopping him from doing it. The only thing that will change, if they get an independent Biafra Republic, is just the name. They will still need to govern themselves, only this time without any allocation from the Federal Government of Nigeria. So can you imagine those Igbo states governing themselves but without any government allocation from the Federal Republic of Nigeria? To say the least, things will be much more difficult for those states. As I am writing this, I can almost hear the objection coming from my Biafran brothers, I think some are thinking that “No, we are going to go with the oil states”, which means in their own understanding, the South-South states of Nigeria also belong to Biafra. I am not too good in the history of Biafra itself so I will not take it upon myself to say if this is true or not, but one thing I am sure of is that the South-South states will need to declare their willingness to join the Biafran state. So far, as far as I know, none of the South-South states are willing to join Biafra. Even if they will not remain in Nigeria, they would rather stand alone. As things are however, these states are more than willing to remain in the Nigerian Union. In fact I just watched a few days ago, the video address of one of the South-South governors, banning the Biafra demonstrations in his state. Another major challenge that the Biafran agitations and its actualization will create for the new Biafran Republic is that, as of today, the Igbos are hugely scattered all over Nigeria. It would not be an exaggeration to say that millions of Igbos are living outside of their enclave. Let’s take just the South-South states for example; if all the South-South states choose to remain in Nigeria, that will cause a huge economic and humanitarian catastrophe for the Igbo people. Can you imagine a situation where all Igbo people are been evicted from the South-South states? I can only imagine what a catastrophe that would be if all the Igbo people were to leave Port Harcourt today. If all these people were to leave their businesses, connections and in some cases their family members only to go and create the Biafran nation, there is just no way the economy of the Biafran nation would be able to absorb these people. For some of the people themselves it would be too late to start all over again, some of them would simply not survive it. My dear Biafrans, a second thought must be given to the idea of separation from the Nigerian nation. I have only mentioned the South-South region that only consists of 6 states. What will happen if we begin to talk about the economic and humanitarian consequences of evicting Igbo people from our two capitals, Lagos and Abuja? Igbo people control Nigeria, at least economically and socially, there is no official deprivation whatsoever in Nigeria for any tribe. Yes, I know of the killings in the northern part of Nigeria, but that is not a policy of deprivation if we are to talk about it. If there was such a policy, how come the Igbo people wield such a huge influence over the economy of the nation? I know the objection of my Biafran friends, most of the agitators claim that they will be better off without Nigeria. If they could produce so much in Nigeria, the argument is that away from Nigeria they will produce much more; well I personally doubt it. Let’s look at the facts. If Igbo people could produce more, what stops them from producing more in their own states where they have the right and authority to build the nation of their dream? Why can’t they produce more where they govern themselves with little influence from the Hausa, Yoruba and Fulani people? I know there are a lot of thoughtful and analytical people in the Igbo nation. Let’s assume the Igbo people managed to get their Biafra Republic; that will limit their sphere of activities to the square kilometers that the Igbo nations control primarily. What that means in economic terms is that, for example, the Nigerian land mass is a thousand square kilometers; in that the Igbo nation will only be at most three square kilometers. The economic activities you can have in a thousand square kilometers far exceeds what you can do in 3 square kilometers. In Nigeria the Igbo people have access to much more land mass and territories for their businesses, social and political activities. In the case of a separation, that will limit the potential of the Igbo people. Today, statistically, the Igbo people as I have said above, are the most enterprising people in Nigeria. As a result of their high level business activities the Igbo nation are responsible for between 60-70 percent of all imports into the Nigerian nation. Obviously, all these imports are being supplied to the Nigerian market. Nigeria provides for the Igbo people the market and the consumption of their goods and products imported. Their business acumen are being realized and better realized in a united nation than in a less and constrained geographical territory. How can the Igbo people claim marginalization when they are responsible for 70 percent of the imports of the whole country? If you take Nollywood for example, the Igbo people control that as well. Many other spheres and economic life of Nigeria are under the control of the Igbo people. It is therefore illogical to talk about marginalization. If the Igbo people have been marginalized as the Southern Sudanese were marginalized in Sudan, or as the English speaking people of Cameroon are marginalized in Cameroon, they would not have been allowed to control 70% of all imports. As of 2008, 80 percent of our movie industry was in the hands of the Igbo people. Many Nigerian cities and states are totally dominated by the Igbos with no mass killing or eviction. In fact many of them are not just welcomed, especially in the western part of Nigeria, South- South, and the middle belt, many of them are actually celebrated. I recently watched the world conquering Nigerian U17 football team. How beautiful it was to see that no nationality was protesting or complaining of marginalization in the national team this time. The picture of the national team was such that at least six of all the players were from the east (Igbo), Five were from South-South, two were from the west and all the rest were derived from among the over 500 tribes of Nigeria. Not a single one from the north, yet nobody complained. In a society where there is discrimination and deprivation, they would not have allowed the Igbo to control the majority of the spots on the team. But thank God that today in Nigerian sports, we are getting to a place where if you are good enough, you are allowed to express and display your talent. Believe me, in marginalized societies it doesn’t matter how talented you are, you are still not allowed to take the place of the majority nation. Friends, Nigeria has gone a long way, let’s work together to make it even better. The Igbo community has been a blessing in every part of Nigeria, including the north where there has been a form of massacre of the Igbo people and the Christians in general. Yet in spite of that, it is hard to claim injustice and marginalization just against the Igbo people as a policy of the Federal Republic of Nigeria. Neither can the Igbo people claim that the other 515 tribes and nationalities of Nigeria have conspired to discriminate against them. That cannot just be true, otherwise they would not have their businesses virtually in every town and village in Nigeria. As small as my village is, with only about 40 or so houses, our commerce is being controlled by the Igbo people and we are happy about it. Now, let’s learn a lesson of wisdom from an adage that says when we are loved, we often think that it is because we are good that is why we are loved. But in the real sense it is those who love us that are good. So also is the case when we are received and accepted by other people, we often think that we are accepted because we are so good. Sometimes we think it is because we are smarter than the other people, other times we think it is because we are the only gifted people around, that is why we are accepted, but maybe not all the credit belongs to us. Maybe we should just as well give some credit to the people who are tolerating us. Do you think that aspect should be considered as well? I am afraid that my brethren that are agitating for Biafra might just have fallen into this trap of thinking that they are better than other Nigerians. In the real sense that could be so in some things, but they too must admit that other Nigerian tribes, nationalities, people groups, might just have areas where they too are better. We are all people; meaning in some things we are better than others, and in some things we are not as good as others. This is how God has created life and this is how He has created diversity. God has made us to be diverse so that we can learn from each other. Meanwhile, there is no way we will be able to learn or receive from each other until we admit that others too are better than we are in some areas. I am not a prophet neither am I the son of a prophet, but as a servant of God I would like to give a word of warning to my brethren who are agitating for Biafra. I wish to sound an alarm in your ears that we should learn from history. I can almost guarantee you by the Spirit of God that if Biafra eventually gains independence and breaks away from Nigeria, a civil war might soon ensue within Biafra itself. Besides God’s Spirit, my assertion is backed by history. It is no news to Nigerians that our Igbo nation is probably the most divisive nationality within itself. No wonder when Enugu state was carved out of the old Anambra state, the division within the Igbo people came out with sirens blaring. The desire to have all the national cake of the state “only for our own people within our state” prompted the leadership of the then Enugu state to evict the Igbo people of Anambra state from their civil service. Such was the blatant demonstration of division even within the Igbo people that the indigenes of Anambra were sent back to their state. If this is only a matter of state, what will happen when it is real national cake within Biafra itself? I hear all the time how my friends from Imo state complain about Anambra people. People from Abia state who are Igbos also attack Anambra people. The same is also true of the people from Enugu and Ebonyi. Everybody fighting for their own piece of cake. Nowhere was this more evident than recently when the immediate past governor of Abia State, Theodore A. Orji, sacked workers from Ebonyi, Anambra, Imo and Enugu from the state’s work force. It is difficult to see how the Igbo people would manage to find a place for all their teeming population to return from all over parts of Nigeria if the states are already fighting over jobs and employment only for their indigenes. What will happen when suddenly millions of people have to come back home without jobs, housing or occupation? It is scary to imagine what would begin to happen within the Biafra nation. Students of contemporary history will tell us that this is the exact scenario of what happened in South Sudan. The civil war that ensued as a result of their independence is still going on as I am writing within the South Sudan Republic itself. 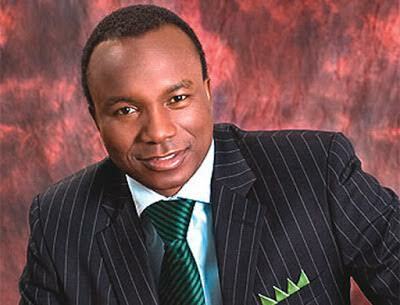 *Contributed by Pastor Sunday Adelaja, is the founding senior pastor of the Embassy of God based in Kiev, Ukraine.